The reason is the increasing number of pesticide poisonings of strictly protected animals. 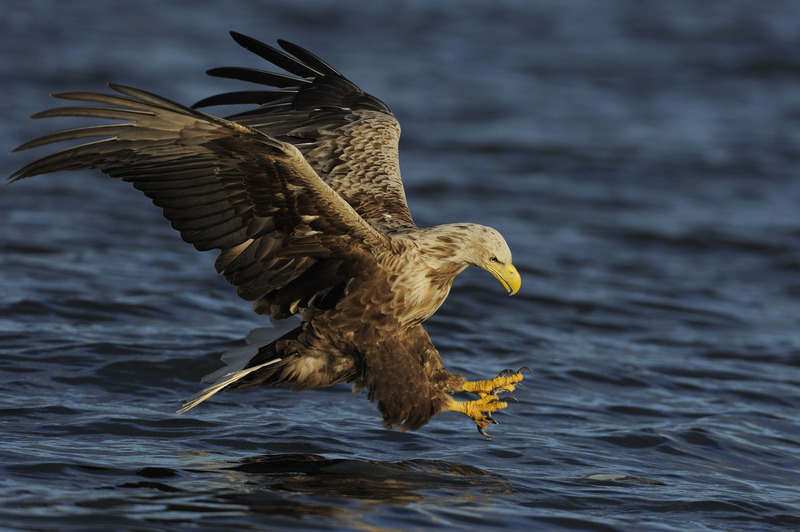 Among them are greatly endangered species like the white-tailed eagle, but also domestic animals. The campaign is carried out in partnership with the Provincial Secretariat for Urban Planning, Construction and Environmental Protection, the Provincial Institute for Nature Protection, the Institute for Nature Conservation, the Society for the Study and Protection of Birds, and State Enterprise "Vojvodinašume." 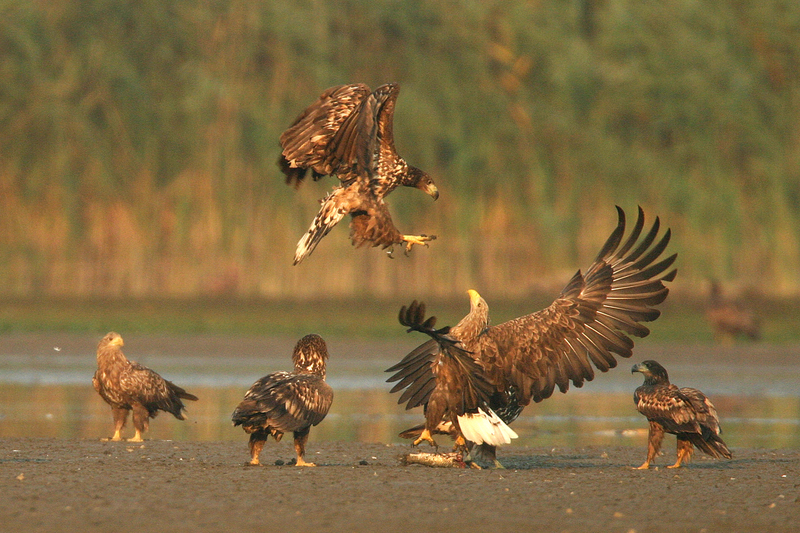 The border region between Serbia, Croatia and Hungary is among the most important areas for white-tailed eagles in Europe. 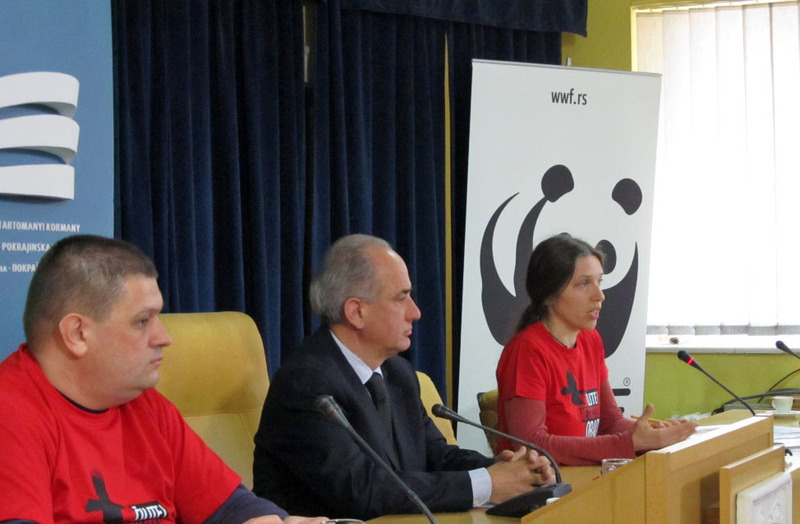 In 2014, WWF registered 22 breeding pairs only in the area of Serbia’s Gornje Podunavlje Special Nature Reserve. This same year, 11 dead birds were found in the reserve’s vicinity and 8 of them had died of poisoning by a pesticide containing carbofuran. Carbofuran is banned in the EU and Canada. In Serbia, the fatal poisoning of protected species is a criminal offence and punishments can range from high fines to prison sentences. WWF and partner organizations protect the white-tailed eagle in the Special Nature Reserve Gornje Podunavlje in the framework of the “Amazon of Europe” five-country UNESCO Biosphere Reserve initiative. “The annual growth rate of white-tailed eagles is about 50 birds across Serbia. Of those 50, only 5 reach sexual maturity and reproduce in monogamous couples. If 8 birds were poisoned only during last year, this is a terrible loss for the species,” said Sonja Badjura, Project Officer at WWF Serbia. “It is necessary to immediately stop the poisoning because every bird is precious. Poisoning and improper pesticide use has a negative impact on the lives of other animals too, but also on human health,” Badjura said. Currently, WWF and its partners are implementing measures to protect the white-tailed eagles in the birds’ feeding area -- near the village of Svilojevo. A network of new feeding grounds are being developed to attract the birds to a new feeding place. This is done by the Provincial Secretariat and the Provincial Institute for Nature Protection, as well as the managers of protected areas and other partners. “One of the important components of the campaign is the work of the police and prosecutors' offices, where all partner institutions will be involved, but also all other relevant stakeholders who faced cases of poisoning,” said Dr. Slobodan Puzović, provincial secretary for urban planning, construction and environmental protection. “Pesticides are increasingly used in Serbia. The more often people use them, the more often their misuse occurs. This has tremendous consequences on human health, the nature and resources we use. Animal poisoning is only a small, barely visible part of the fatal effects of agriculture chemicals, but it has widespread consequences on the species we’ve been trying to protect for decades,” said Marko Tucakov, an ornithologist at the Provincial Institute for Nature Protection. To raise public awareness, discussions will be held for the general public on responsible pesticide use in the area of the Special Nature Reserve. There will also be an interactive programme for the youngest audiences: elementary school students committed to protecting the white-tailed eagle. A hotline will also function within the campaign. People will be able to report cases of wildlife death at: +381/ 63 153 83 85. Afterwards, the information will be submitted to the competent departments. The white-tailed eagle (Haliaeetus albicilla) is the largest bird of prey in the Danube basin. It sits at the very top of the food chain, which means that its habitat must be in good condition and offer a large amount of safe food for populations to grow. In Serbia, there are about 120 nesting pairs of white-tailed eagles. Only continuous, active protection measures can ensure its survival. These measures primarily imply preventing poisoning. WWF is one of the world's largest and most respected independent conservation organizations, with over 5 million supporters and a global network active in over 100 countries. WWF's mission is to stop the degradation of the earth's natural environment and to build a future in which humans live in harmony with nature, by conserving the world's biological diversity, ensuring that the use of renewable natural resources is sustainable, and promoting the reduction of pollution and wasteful consumption (www.panda.org/dcpo). Saving the "Amazon of Europe"